Animals had been one of the favorite subjects of tattoo artists for their masterpieces and usually the designs that they are selling to interested parties. Most of the artists are so adept in tattooing animals that traditional techniques tend to be boring anymore, so what they do is that they add “flavor” to make things more interesting. 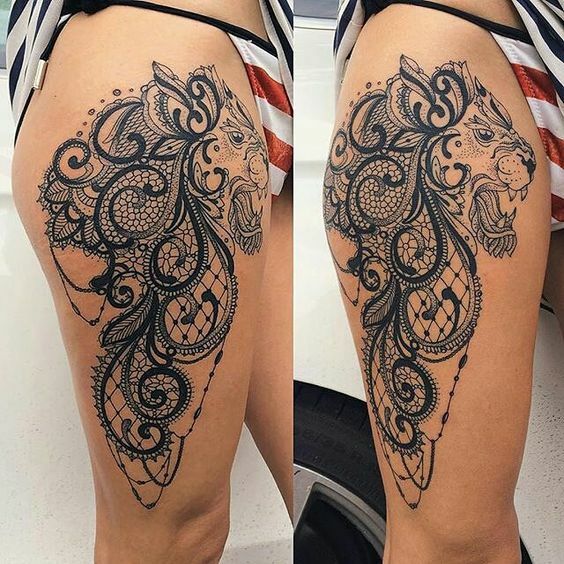 One animal tattoo technique that is growing popular nowadays is the animal lace design. These are animal tats that are rendered with skin or surface just like that of laces, patterns and holes and stuff. The lace rendering may be of the whole animal or just part of it like half of a wolf’s face. There are a lot of amazing variations to these technique that were usually requested by the 1st owners who thought of it. Check out 30 of these best and cool tattoos showcased on today’s post.